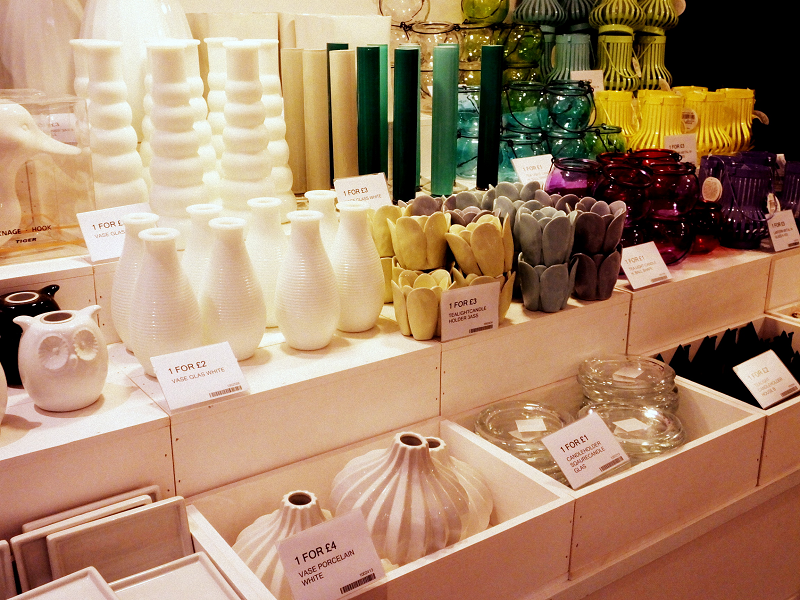 So last weekend Merry Hill welcomed a brand spanking new store in the form of Tiger; a super-stylish and uber cool Danish 'variety store,' which stocks everything from interesting vases and candles to dried spices and ALL the stationery you could ever dream of. After seeing Tiger pop up on the radar of many fashion blogs, I've been anticipating a branch of Tiger to open outside of the cocoon of central London for a couple of years now and finally one has arrived right on my doorstep. Whoop! Despite missing the official first day of trading, I made it a priority to pop in today and see if the stock lived up to the hype. And readers, I can confirm it did. As they have such a huge variety of stock, it was going to impossible to photography everything but I just took some snaps of my favourite bits to wet your appetite. Located right next to the entrance were a small selection of Easter decorations. 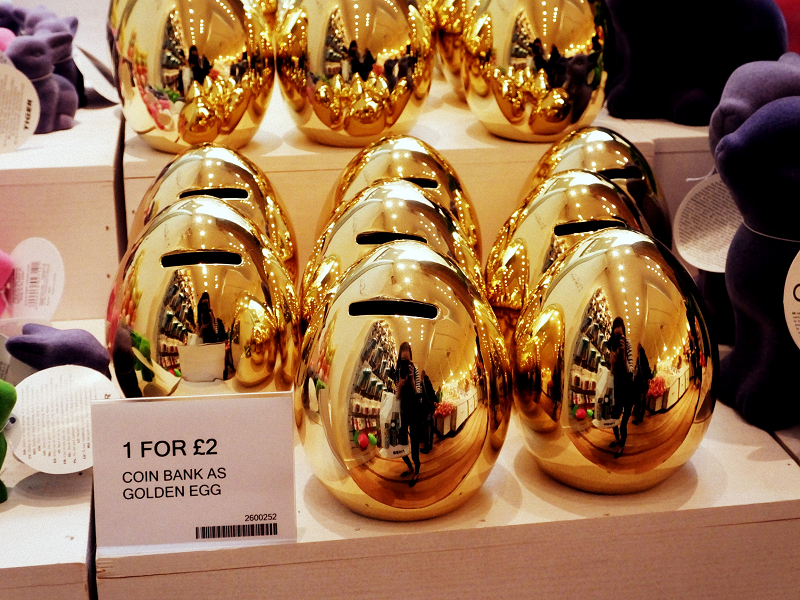 Not your average lopsided chicks or painted eggs but instead multicolored felt bunnies and metallic egg shaped piggybanks. As you turn to your left and start to navigate your way down the zig-zag aisles, you find yourself amongst shelves jam packed full of note pads in a huge variety of prints and sizes, bold and bright desk accessories you never realized you needed until now, themed paper clips and a huge mass of art materials. 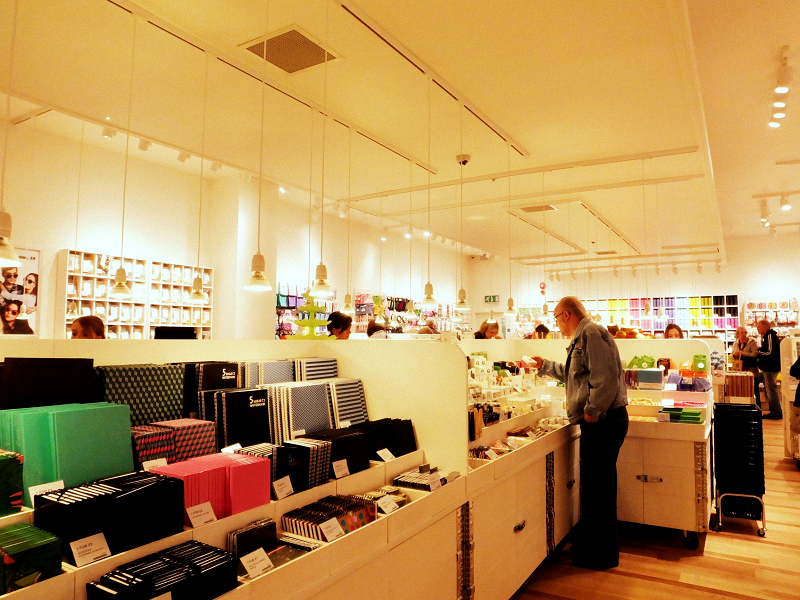 This section is very reminiscent of Paperchase- obviously with much more budget friendly prices! The majority of notepads are £1-2 which is a total steal. 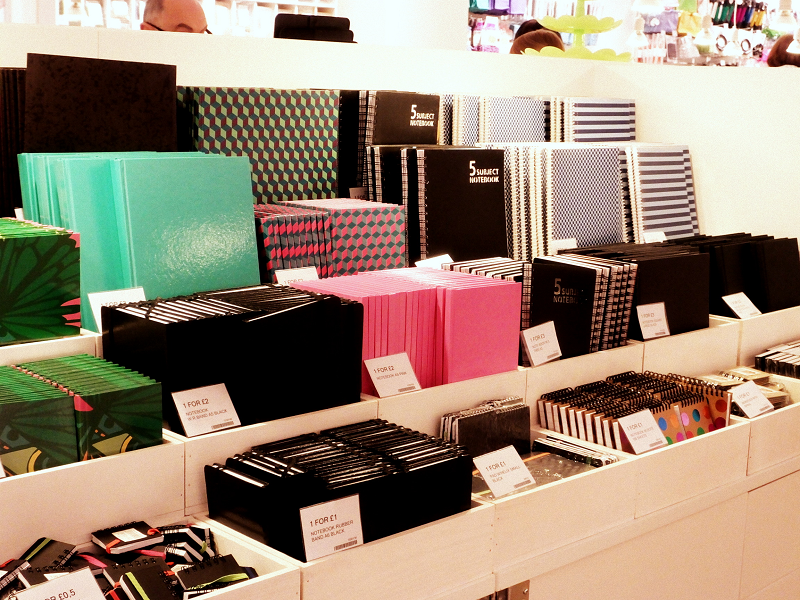 So many notepads! Also kudos for merchandising them to colour co-ordinate...just in case you needed another reason to buy another notepad. 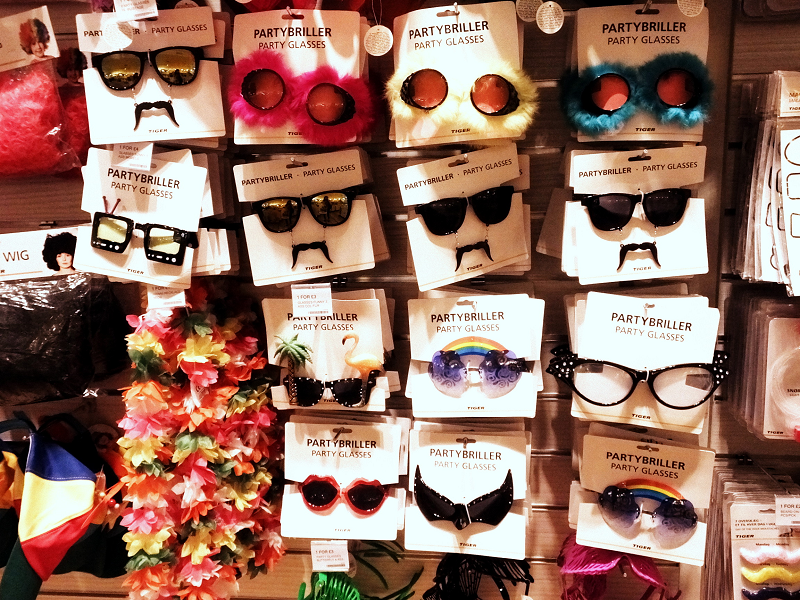 There is also a wall dedicated to fancy dress- including wigs, stick-on mustaches and a large variety of party glasses...because WHY NOT?! 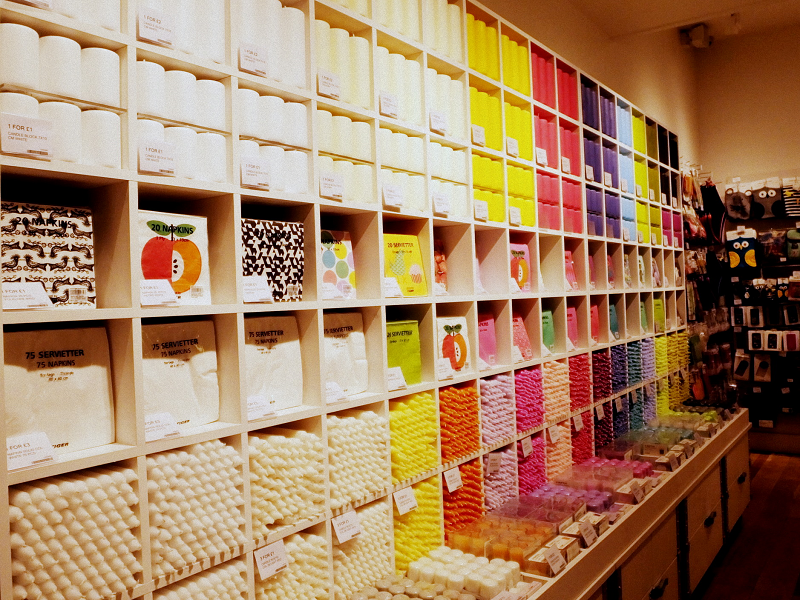 This wall is like a mecca made for candle aficionados such as myself. 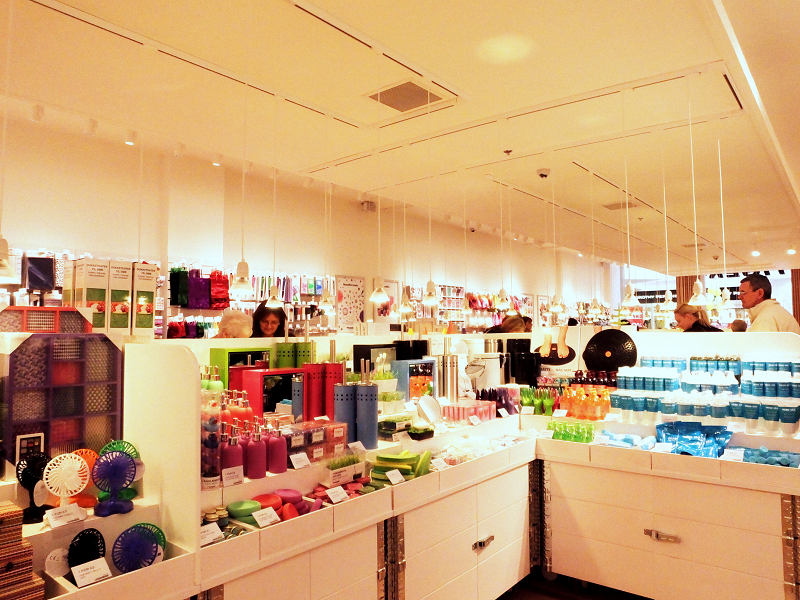 Such good merchandising- look at pretty the rainbow of wax and wick! Prices ranging from £1-2. When you thought that themed salt & pepper shakers where destined to be stuck forever in the 70's, say hello to these adorable seasoning pots. I would totally have these in my kitchen. If you're still loving the mustache trend, don't worry- Tiger are right there with you. 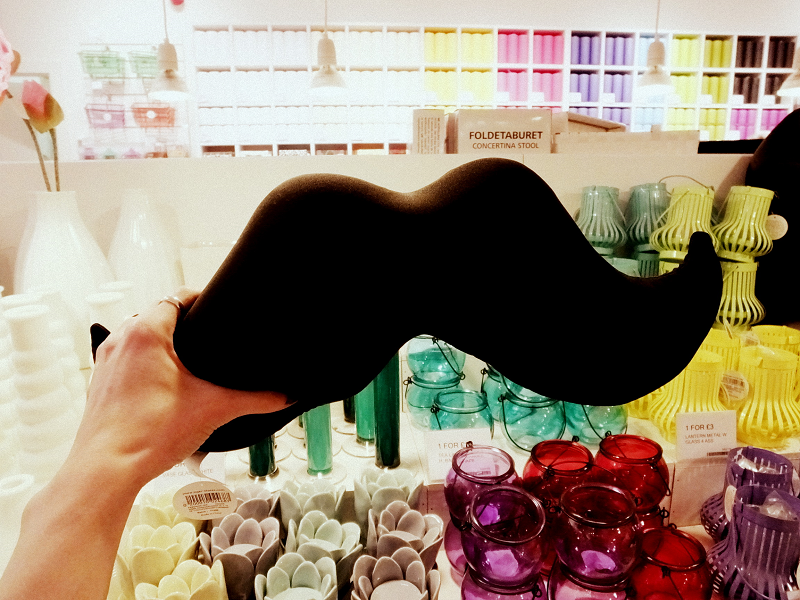 This cute 'tache cushion could be yours for just £7 and would be a quirky addition to your living room scatter cushions. Also in the background you can see a selection of tea light lanterns (£3) which are a great purchase ahead of BBQ season- or even just candle-lit baths! As I'm in the process of redecorating my room, I've become a bit obsessed with vases (they're not just fancy bits of ceramic okay Mum?!). I was pleasantly surprised to find that none of these vases were dearer than a fiver, which is ideal for those decorating on a budget like moi. 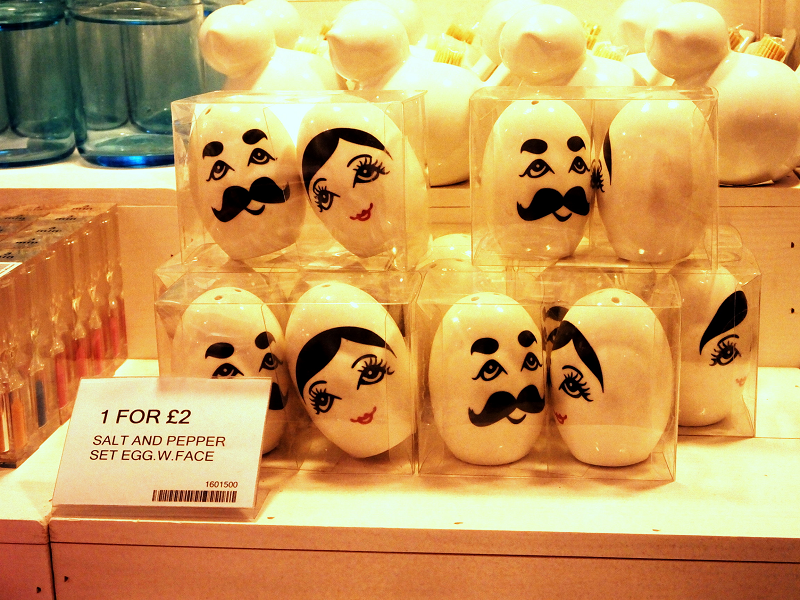 I just regret not picking up one of those garlic shaped beauties for £4- fingers crossed they'll still be in stock next time. This isn't really a picture of anything in particular, but just in general appreciation of the store layout and interior design. As a total sucker for minimal interiors, Tiger really ticks the 'all white everything' box. Less is definitely more and when you have interesting stock- why hide behind dark colours? As you approach the tills, there's one last section to entice you...the food section! Though it's fairly small, it's still packed full of yummy budget snacks including bags of mini marshmallows (£1), oreo-style biscuits (£1) and elderflower juice (£1). 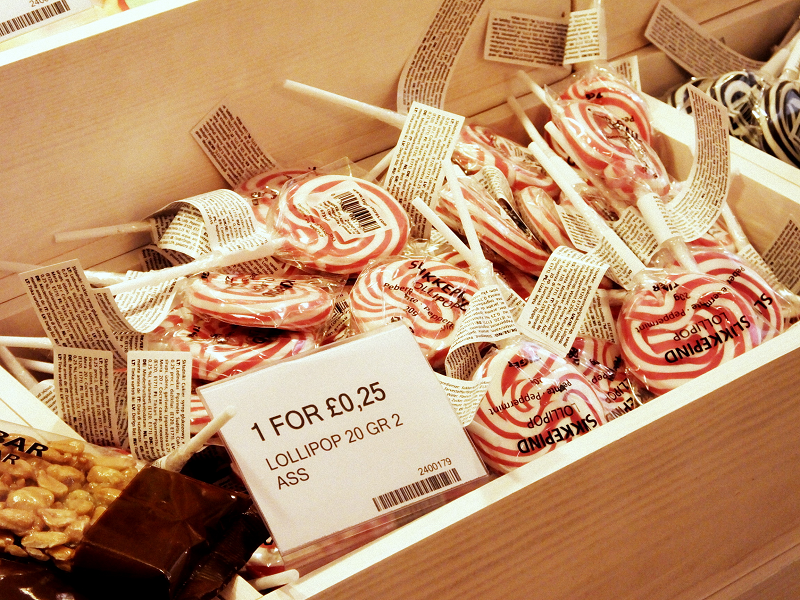 These 25p swirl lollipops really caught my eye though- there's just something so appealing about swirly retro lollipops! Well, what's the verdict shoppers? 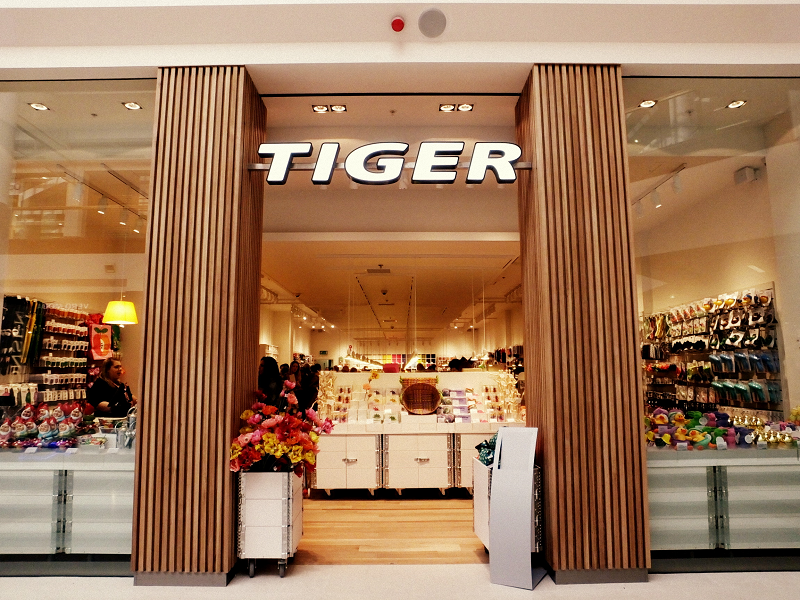 With it's cheap and cheerful prices, varied and interesting stock, I think Tiger is going to be a roaring success. Sorry, I couldn't resist. ALSO keep your eyes peeled for my Tiger Haul Video, coming soon!